Featuring a distinctively wavy facade and towering over the thriving Karpal Singh Drive precinct at 46 floors, 3 Residence catches the imagination the moment it meets the eyes. 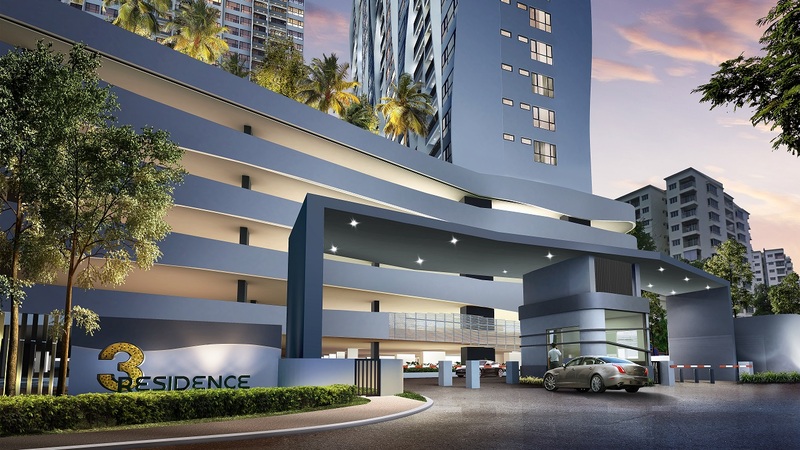 Ideally positioned in the very heart of Karpal Singh Drive, Penang, residents enjoy the best of both worlds - a tranquil home by the sea and easy accessibility to everything else they may need for daily living, recreation, entertainment and many more. 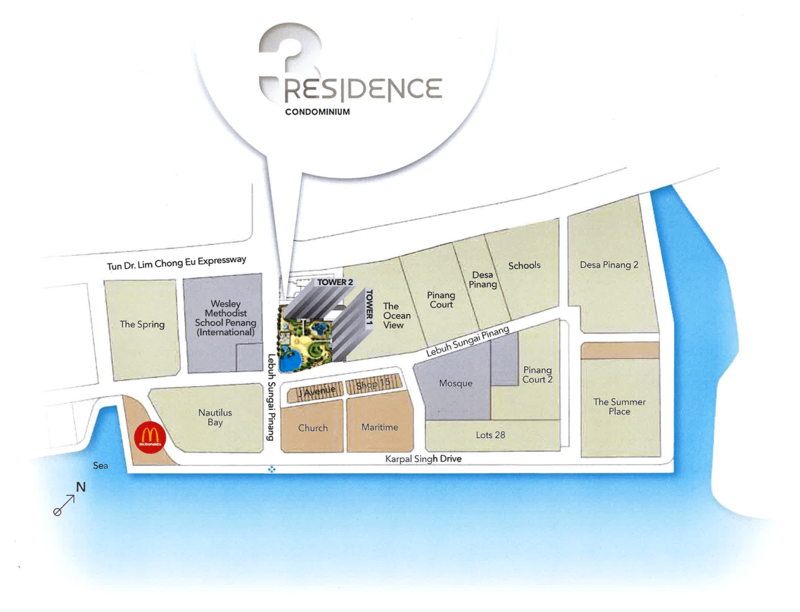 At 3 Residence, whatever you need, wherever you need to be, they're always within EASY REACH.